Motorbike shop. Repairs/maintenance of motorbikes. Wide selection of helmets etc. 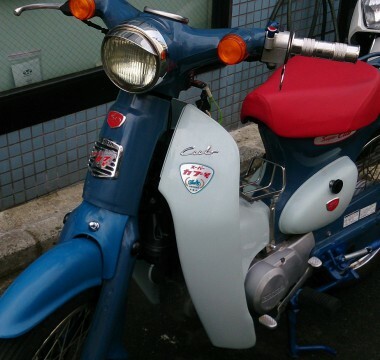 Our simple feeling is to see lots of colorful motorbikes running in this city of haiku and motorbikes.